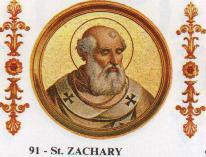 ST. ZACHARY succeeded Gregory III., in 741, and was a man of singular meekness and goodness. He loved the clergy and people of Rome to such a degree that he hazarded his life for them during the troubles in Italy when the Dukes of Spoleto and Benevento rebelled against King Luitprand. Out of respect to his sanctity and dignity, that king restored to the Church of Rome all the places which belonged to it, and sent back the captives without ransom. The Lombards were moved to tears at the devotion with which they heard Pope Zachary perform the divine service. 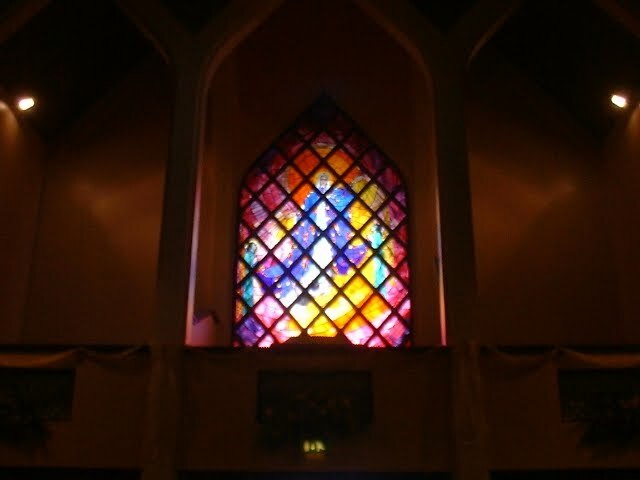 His zeal and prudence appeared in many wholesome regulations for the discipline and peace of several churches. The Apostle of Germany, St. Boniface, wrote to Pope Zachary against a certain priest named Virgilius, that he labored to sow the seeds of discord between him and Odilo, Duke of Bavaria, and taught, besides, many errors. Zachary ordered that Virgilius should be sent to Rome, that his doctrine might be examined. It seems that Virgilius cleared himself; for we find his soon after made Bishop of Salzburg. Certain Venetian merchants having bought at Rome many slaves to sell to the Moors in Africa, St. Zachary forbade such an iniquitous traffic, and, paying the merchants their price, gave the slaves their liberty. He adorned Rome with sacred buildings, and with great foundations in favor of the poor and pilgrims, and gave every year a considerable sum to furnish oil for the lamps in St. Peter’s Church. He died in 752, in the month of March.